We are pleasured to introduce Kiaying Industrial Co., Ltd have been manufacturing and trading Vietnamese rice since 2009, with high quality products, best service and reasonable price, we exported to many market such as USA, Australia, China, Africa, Indonesia, Philippine, Europe, Canada, Iran, Irac. etc. With modern technology lines, we committed to providing products meeting the highest quality as well as customer expectations. Hope to receive your inquiry and have chance to cooperate with your company. Please feel free to send me your detail inquiry: Commodity, Quantity, Packing, Destination port, Target price. I'm waiting for your soonest contact. - In plastic pack of 5kgs, 10 kgs or in new single Polypropylene bags weighing 25.0 kg, 50.0 kg net each. - Buyer can requests other kinds of packing style. - The bags of rice can be stuffed at total 23-26MT into one 20ft container. 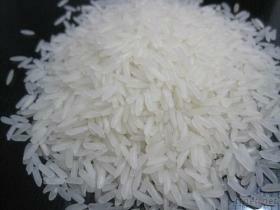 We are finding and would like to establish a long-term business relationship with reliable buyers of RICE. Hope that you could give us an opportunity to become your long-term partner of these products by letting us know your detailed product demand. Also, we could provide OEM service.